Taking a break from their work-out sessions, Katrina, Janhvi participated in the birthday celebrations of Pilates instructor Nishreen Poonawalla. Katrina Kaif and Janhvi Kapoor often bump into each other at Yasmin Karachiwala's gym in Mumbai and was recently spotted eating cake together. Yes, there was a cake-saga at the gym. Janhvi Kapoor, who will soon make her Bollywood debut, and fitness enthusiast Katrina Kaif, never miss out on their gym attendances and Thursday was one such day. Taking a break from their work-out sessions, the duo participated in the birthday celebrations of Pilates instructor Nishreen Poonawalla, who shared a video of the festivities. In the video, Katrina can be seen treating Janhvi to a piece while munching on one herself. Janhvi appears to be rather selective about the amount of calorie intake but Katrina invites her to eat more of the delicious goodness. 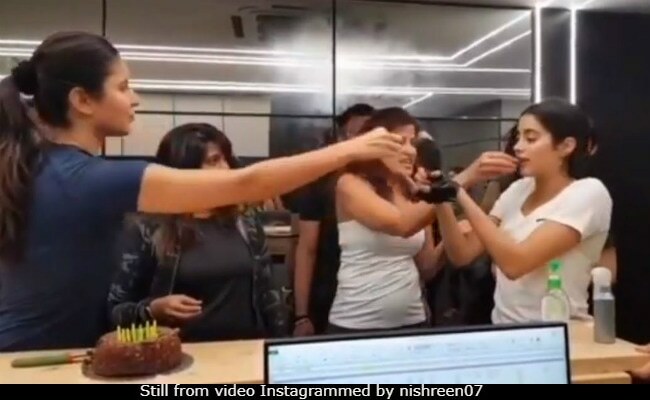 Nishreen Poonawalla also tagged Janhvi and Katrina to her post as she wrote: "Thank you Yasmin Karachiwala And my Body Image family for making my b'day special." 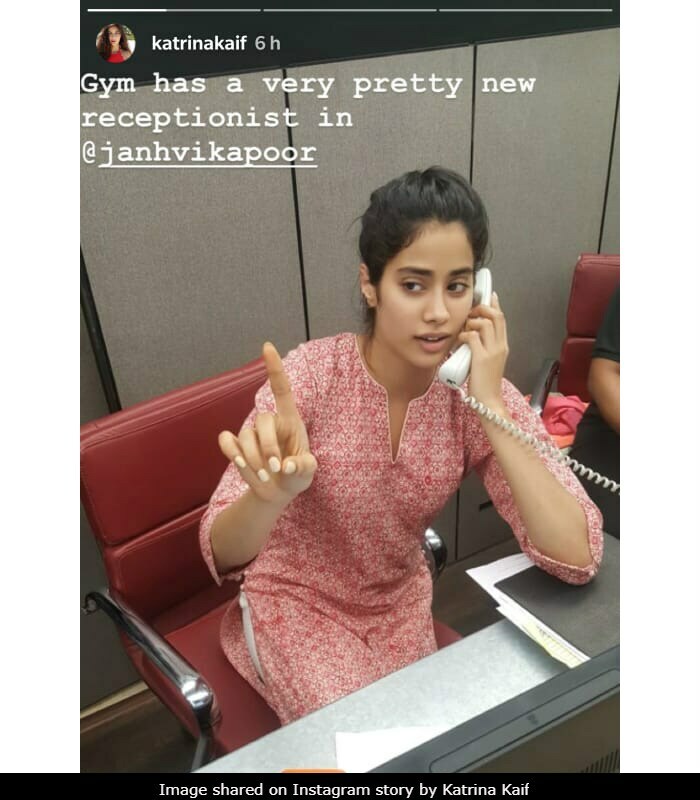 We got to a confirmation that Katrina and Janhvi go to the same gym last month after Katrina uploaded a photo of Janhvi on her Instagram story saying: "Gym has a very pretty new receptionist in Janhvi." In the photo, Janhvi can be seen making a phone call from the desk while Katrina seized the moment to confer the title of "the new receptionist" to Janhvi. Apart from cake-eating and work-out sessions, this is what goes on at Yasmin Karachiwala's workout studio. We spotted Alia Bhatt too. On the work front, Janhvi Kapoor is Sridevi's elder daughter and will make her Bollywood debut with Dhadak, co-starring Ishaan Khatter. Katrina Kaif has films like Aamir Khan's Thugs Of Hindostan and Shah Rukh Khan's Zero in the pipeline.